I've discovered my new favorite thing, professional blowouts! Before becoming a mom I wouldn't mind spending 2 hours doing my hair before an event or party (washing, drying, straightening and then curling). 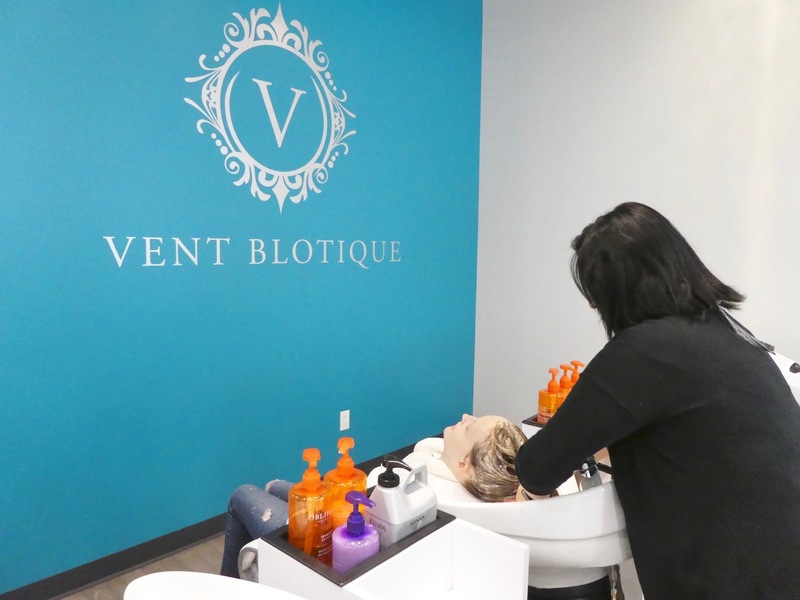 These days I do NOT have time to spare, so having my hair done at Vent Blotique in less than an hour and it look AMAZING is totally worth the price in my book! I enjoy getting my hair done on Monday and not having to do it for the rest of the week. My blowouts will last 4 days thanks to dry shampoo! Kids, work, cooking dinner and cleaning are all things on my to-do list, so not having to spend time doing my hair saves me time and sanity. PLUS I feel better about myself because my hair actually looks good which makes me feel like a million bucks. These sinks are seriously the best! They swivel so you don't have to strain your neck. 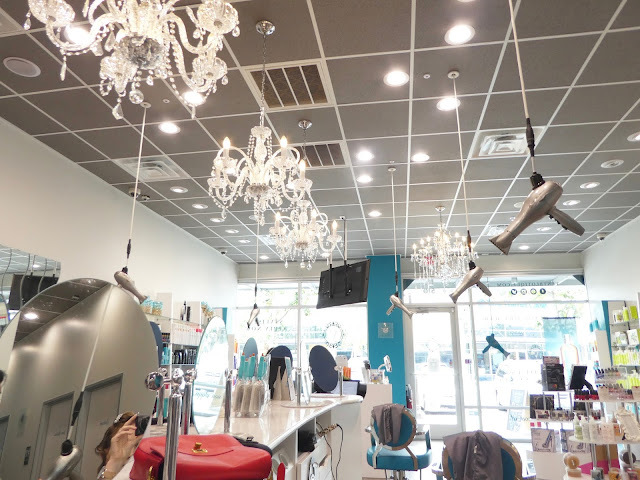 How cute are the hair dryers that come down from the ceiling? Such a fun idea. They recently opened up two locations, Cedar Park and Round Rock. 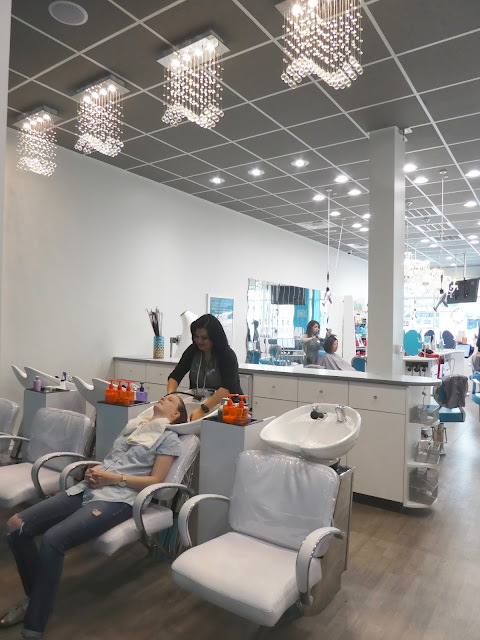 The atmosphere is wonderful and the stylists are very talented! Head over to my Instagram to enter to win a Luxury Blowout. 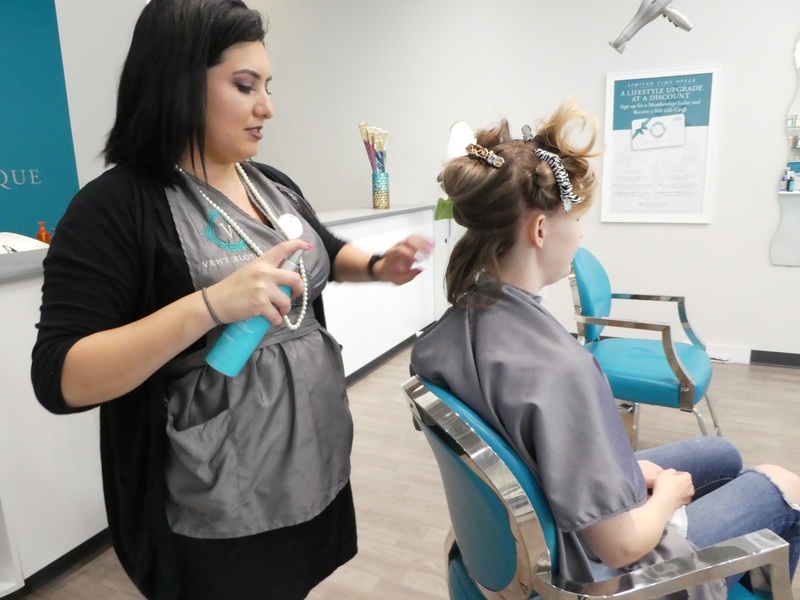 It includes a shampoo, luxurious moisture treatment for the hair, scalp massage, steamed hot towel wrap, and your choice of any of our blowout styles. 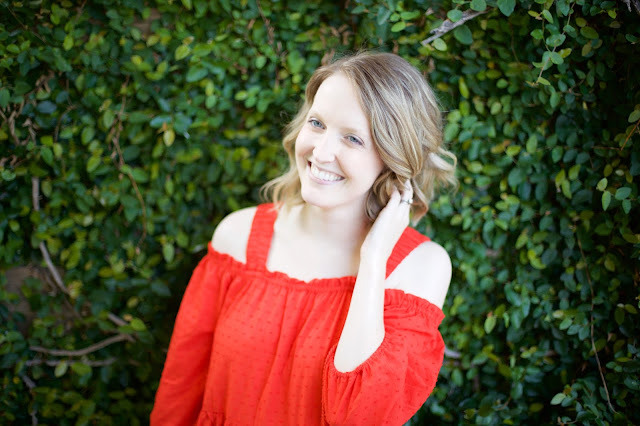 A mini Mom-Break! 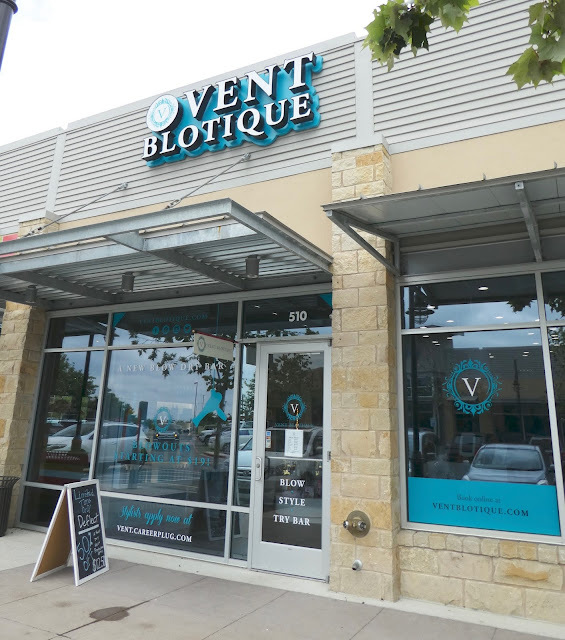 This post is brought to you in partnership with Vent Blotique, but all opinions are my own. Thank you for supporting the brands I love!